Yu-Jin Tay is a partner in Mayer Brown’s global International Arbitration practice based in Singapore. He specialises in general commercial disputes as well as disputes arising from M&A/joint venture, energy and natural resources, construction and infrastructure and technology, with experience of over 100 arbitrations under the rules of most leading arbitral institutions and in the world’s major seats. In addition to counsel work, Yu-Jin sits regularly as arbitrator. He is Vice-President and a Fellow of the Singapore Institute of Arbitrators. Since 2001, he has practised investment treaty arbitration and in 2013 was designated to ICSID’s Panels of Arbitrators and Conciliators. Yu-Jin was one among few Asian lawyers featured in Global Arbitration Review’s last global 45 under 45 ranking and he has been listed annually as leading individual in legal directories including GAR’s International Who’s Who (since 2010), Chambers Asia-Pacific and Legal 500 (since 2008), the Euromoney Guide to the World’s Leading Experts in Commercial Arbitration (since 2006) and Benchmark Litigation (ranked Local Disputes Star, 2013 & 2018). 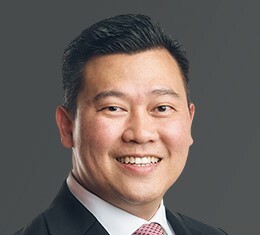 He has been described by peers as “a specialist among specialists” (Chambers, South Korea, 2016), “great at resolving complex problems and explaining them simply” (Chambers, Singapore, 2017) and a ” first choice for arbitration matters… extremely sophisticated” (Chambers, South Korea, 2017). In 2018, Yu-Jin was ranked among the top future leaders in Who’s Who Legal’s Arbitration: Future Leaders research. Before Mayer Brown, Yu-Jin practised arbitration in Paris, London and Washington DC and headed the Asia arbitration practices of two other major international law firms.